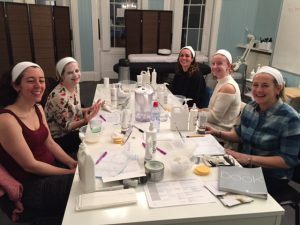 Learn how to care for your skin in our friendly, yet informative workshop. Open to young people from 10 years of age. This is a unique experience, where we would encourage a young person and a parent to attend together to explore healthy skin care routines. We’ve come across many adults who are not confident with using cleansers, toners, exfoliants and masks. This session will dispel myths and teach you how to use a range of products, suited to your individual skin. Early Bird booking discount available. See https://bookwhen.com/reflexologyandmassage/e/ev-skve-20171007140000 for details.